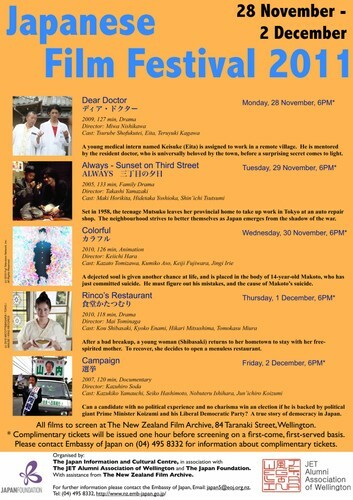 The annual Japanese Film Festival is scheduled for the the last week of November. "Dear Doctor". 2009, 127 minutes, Drama, M.
A young medical intern named Keisuke (Eita) is assigned to work in a remote village. He is mentored by the resident doctor, who is universally beloved by the town, before a surprising secret comes to light. "Always - Sunset on Third Street". 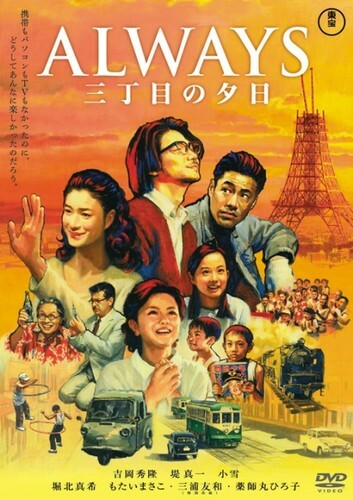 2005, 133 minutes, Family drama, M.
Set in 1958, the teenage Mutsuko leaves her provincial home to take up work in Tokyo at an auto repair shop. The neighbourhood strives to better themselves as Japan emerges from the shadow of the war. "Colorful", 2010, 126 minutes, Animation, M-Violence, offensive language & content that may disturb. 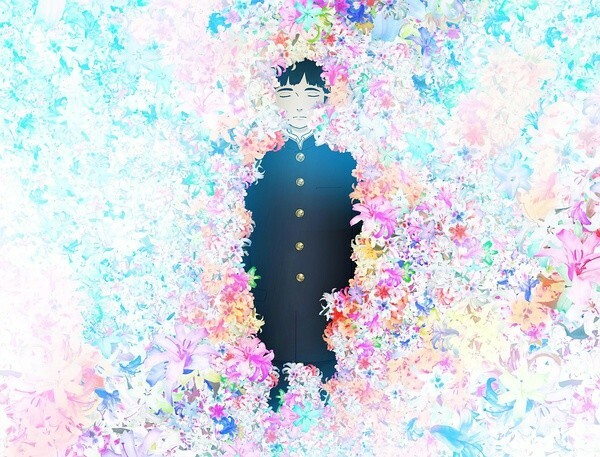 A dejected soul is given another chance at life, and is placed in the body of 14-year-old Makoto, who has just committed suicide. He must figure out his mistakes, and the cause of Makoto's suicide. 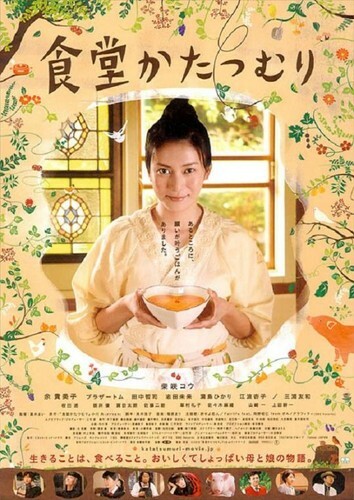 "Rinco's Restaurant", 2010, 118 minutes, Drama, M.
After a bad breakup, a young woman (Shibasaki) returns to her hometown to stay with her free-spirited mother. To recover, she decides to open a menuless restaurant. 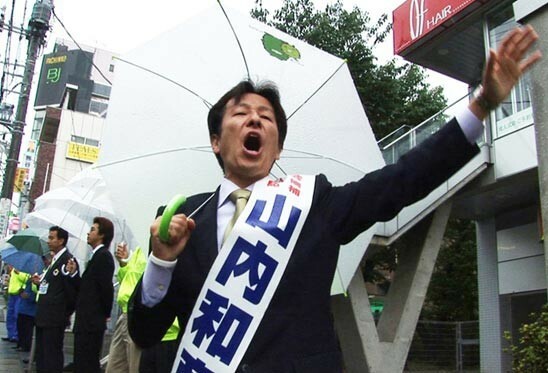 "Campaign", 2007, 120 minutes, Documentary, M.
Can a candidate with no political experience and no charisma win an election if he is backed by political giant Prime Minister Koizumi and his Liberal Democratic Party? A true story of democracy in Japan. *Tickets: Complimentary tickets will be issued one hour before screening on a first-come, first-served basis at the NZ Film Archive. Organised by The Japan Information and Cultural Centre, in association with the JET Alumni Association of Wellington and the Japan Foundation. With assistance from The New Zealand Film Archive. For further information please contact the Embassy of Japan, e-mail (japan5@eoj.org.nz), Tel:(04)495-8332.